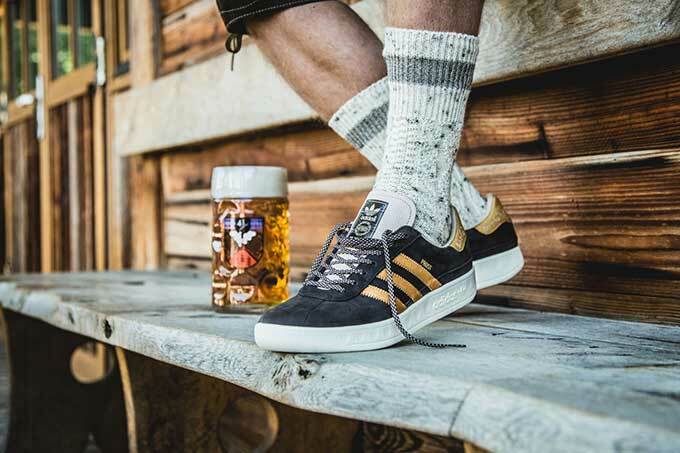 Sneakerheads can rock a pair of fresh adidas even while covered in vomit and regret during Oktoberfest thanks to the company’s new adidas München Oktoberfest. The ~$240 shoe has already sold out through the German footwear website 43einhalb Sneaker Store, but shoppers can be notified when they become available. High-quality leather, made with a durable “puke- and beer-repellent coating” (DPBR), is designed to complement traditional Bavarian lederhosen, according to 43einhalb’s website. Slogging through the beer and puke-riddled streets of Munich has never been so easy and stylish. Apothecarry is just one example of the commercialization of recreational marijuana. Now that it’s legal in California (Hollyweed! ), the green rush is on in the high-end/connoisseur market. In time, marijuana will be like wine, cigars, and other luxury items, where some will want to display their collections.